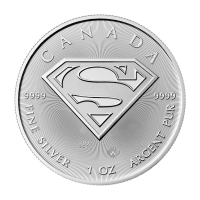 You’ll be paying the web’s best price, when you order your 1.5 oz Monarch Precious Metals Frankenstein monster head silver bar from our online shop today. Monarch Precious Metals have become known for their unique, hand poured art bars and original designs. This 1.5 oz art bar’s face has been styled in the image of Frankenstein’s monster, complete with neck bolts and big, nasty stitches in his square, reanimated forehead. The monster is based on a character from Mary Shelley’s macabre but poignant novel, published in 1818. The base of this creepy monster head is home to all the necessary details of metal content, weight and purity. Also on the base, you’ll find Monarch Precious Metals’ trademark crown logo. The character in question, reanimated by lightening in the laboratory of the obsessed Dr. Victor Frankenstein, raised a number of important philosophical questions for readers, a fact which kept the story alive over the centuries, with multiple ensuing Hollywood movies bringing the character to life, over and over again. Embrace the spirit of the macabre, the classic and the thought-provoking by enlivening your portfolio with a1.5 oz Monarch Precious Metals Frankenstein monster silver bar today! Obverse a hand poured rendering of Frankenstein's face. 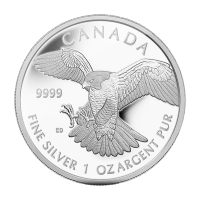 Reverse The monarch logo followed by "1 1/2 Troy Oz 999 Fine Silver" over a smooth hand poured surface. a hand poured rendering of Frankenstein's face. 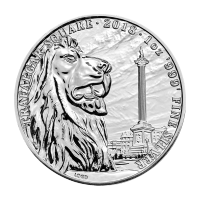 The monarch logo followed by "1 1/2 Troy Oz 999 Fine Silver" over a smooth hand poured surface. 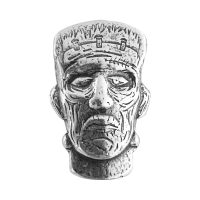 1.5 oz Monarch Precious Metals Frankenstein Monster Head Silver Bar You’ll be paying the web’s best price, when you order your 1.5 oz Monarch Precious Metals Frankenstein monster head silver bar from our online shop today. Monarch Precious Metals have become known for their unique, hand poured art bars and original designs. This 1.5 oz art bar’s face has been styled in the image of Frankenstein’s monster, complete with neck bolts and big, nasty stitches in his square, reanimated forehead. The monster is based on a character from Mary Shelley’s macabre but poignant novel, published in 1818. The base of this creepy monster head is home to all the necessary details of metal content, weight and purity. Also on the base, you’ll find Monarch Precious Metals’ trademark crown logo. The character in question, reanimated by lightening in the laboratory of the obsessed Dr. Victor Frankenstein, raised a number of important philosophical questions for readers, a fact which kept the story alive over the centuries, with multiple ensuing Hollywood movies bringing the character to life, over and over again. Embrace the spirit of the macabre, the classic and the thought-provoking by enlivening your portfolio with a1.5 oz Monarch Precious Metals Frankenstein monster silver bar today!